100 kms by night along Italy’s cycle paths to show that our passion for bike never sleeps! We’ve never managed to stay still. No matter the destination, Cape North or the park nearby, we’ve always wanted to reach it: start, go, travel. On a bike, if possible. Witoor is a group of people that interprets bikes not as competitive way of transport, but rather as the key opening a world of energy and discovery. Founded in London in 2012, Witoor’s mission is to organise cycling events that can spread the passion for bikes and promote genuine, authentic and personal cycling: not a trend or nostalgia, not a competition. A real experience. From Bike Night to Rando Imperator, each event is conceived to help anyone explore their relationship with bikes leaving anxiety behind and freeing their passion for movement, nature, adventures. 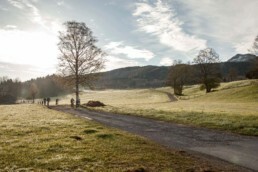 Either by pedalling at night or cycling through the Alps, we try to intrigue bike-enthusiasts as well as encourage those who have approached cycling for the first time. The same applies to cycle tourism: Witoor offers custom-made holiday packages, taking you to Italy’s most genuine places. Bike Night is a cycling event that combines night, passion and people. The first edition took place in Ferrara, in 2014, and it attracted almost 200 participants. In 2015, 800 cyclists, in 2018 over 3000 people rided the night in Italy. Different sceneries, same experience: a gathering that brightened up our summer nights. Now in 2019 the tour of Bike Night comes back in six cities: Ferrara, Bolzano, Udine, Verona, Milan and Assisi: all different but always brightened by the contagious desire to ride a bike our way. A summer of nights lighted by your bikes and your desire to bike free in time and space. Go down in history with this series of randonnées along the ancient Via Claudio Augusta, a road dating back to the Roman empire, one of today’s longest and most beautiful cycle route in Europe. There are three randonnées scheduled for 4th and 5th of May 2019 on the AUDAX ARI calendar: the 200-km BRM brevet from Bozen to Mantua, the 300-km BRM brevet from Munich to Bozen or from Bozen to Ferrara and the 600-km challenge from Munich to Ferrara. 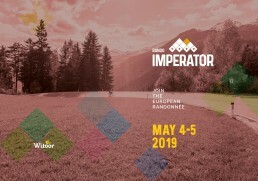 Rando Imperator is the first 600-km randonnée on the Italian calendar, the only one that gives you the opportunity to climb over the Alps, passing through Germany, Austria and Italy.